Why would I need self storage in Happy Valley, OR? There are a variety of reasons why you might need self-storage in Happy Valley, OR. How much is a storage unit in Happy Valley, OR? The cheapest storage unit in Happy Valley, OR is $55.00 per month. What size storage units do you have available in Happy Valley, OR? In Happy Valley, OR we have sizes that range from 5'x5' to 10'x20' to suit your storage needs. How much is it for a 5'x5' storage unit in Happy Valley, OR? The cheapest 5'x5' storage unit in Happy Valley, OR is $61.00 per month. Happy Valley is a small city in northwestern Oregon, part of Greater Portland. 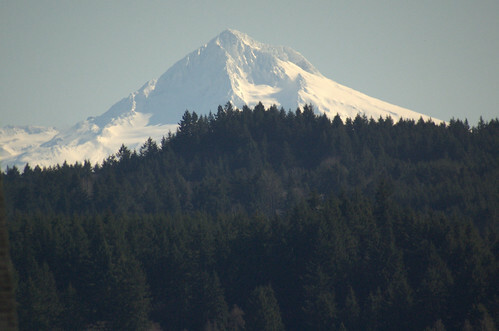 It includes the easily recognizable Mount Scott, an extinct volcano that's included in the Boring Lava Field. In recent years, Happy Valley has grown considerably, jumping from just over 4,500 people in 1990 to nearly 20,000 in 2015. According to legend, the community got its moniker from a group of boys who often arrived at local church services in exuberant spirits, singing loudly and cheerfully, which led people to call them the happy boys from the hollow. Eventually, the area became known as Happy Valley. Many historians say this story is simply local legend, but many Happy Valley locals find humor in the unique tale. The city has had many names throughout its history. It was first called the Deardorff Settlement and Deardorff Valley after its first residents, Christian and Matilda Deardorff. In 1902, the town held a meeting and officially chose the name Christilla Valley, a combination of the first names of the first residents. However, in 1909, classified ads selling acreage in the area referred to it as Happy Valley because realtors wanted an optimistic name to ease fears of future landowners. Eventually, the name Happy Valley became official when the community incorporated as a city in 1965. Happy Valley has attracted a large number of new people in recent years because of its proximity to the large city of Portland, comfortable small-town atmosphere and convenient amenities. It's surrounded by lush, wooded hills, providing a scenic backdrop to everyday happenings around town. There are many public parks and a number of trails for hikers and bikers throughout the city. Whether you're looking for a small neighborhood tot lot for your children or a large, natural preserve for a long day of hiking, you'll find several options in Happy Valley. The city also offers special programs – a community garden, a sculpture garden and youth sports. North Clackamas Schools manages the public schools in Happy Valley. In addition to traditional schools, the district offers a public charter school and a career and technical high school. There are many unique educational opportunities in North Clackamas Schools, including several elementary schools that use a project-based learning approach and high schools that offer more than 140 electives. Utilities: Major utilities providers in Happy Valley include Portland General Electric, NW Natural Gas, the Clackamas River Water District and the Sunrise Water Authority. Garbage and Recycling: A few waste disposal companies serve the Happy Valley area, most of which provide curbside collection of trash and recyclables. Transportation: Happy Valley is part of the larger TriMet public transit network. Home prices in Happy Valley are very high, but still lower than the average price in nearby Portland. Prices are on the rise, and expected to continue in that direction as demand for housing in the area grows. You'll find a mix of town houses and single-family homes to choose from, most of which offer lush landscaping and easy access to local amenities. Rent prices are also fairly high in Happy Valley, though many of the area's apartments offer private pools, gyms and more. Our lowest priced units in Happy Valley, OR average $58.00 per month. 102 people have reserved units in Happy Valley, OR in the past 30 days. There are 2 locations within Happy Valley, OR's city limits.